During his professional career, Gov. 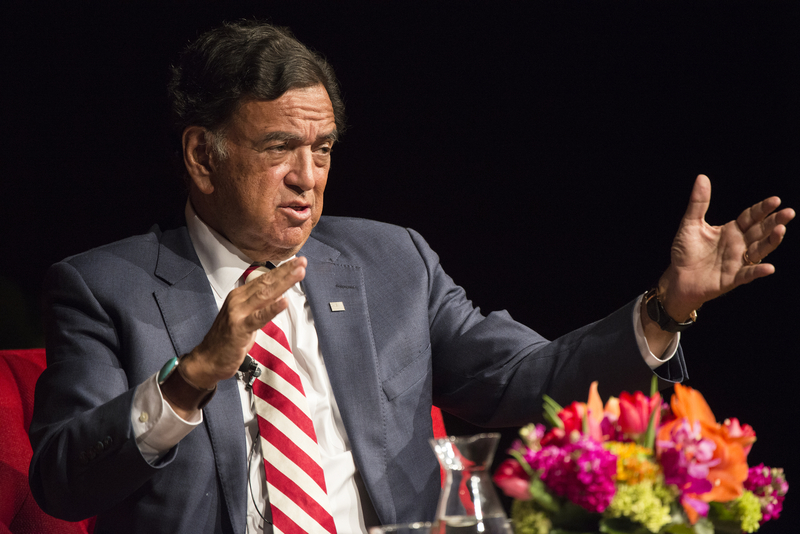 Bill Richardson has held leadership positions in the private, government and not-for-profit sectors. Since 2010, he has operated the Richardson Center for Global Engagement, a foundation focusing on conflict resolution, prisoner release and environmental protection. Richardson has more than 30 years of government experience. His latest government position was serving as a two-time governor of New Mexico (2003-2010). Since he left the governorship, he has been active on the speaker circuit both nationally and internationally, serves on numerous public- and private-sector boards, consults for various energy and technology companies in the U.S. and overseas. He is also a frequent contributor for numerous network news programs, including “Meet the Press” and “This Week with George Stephanopoulos” and served as an MSNBC-Telemundo contributor during the 2016 presidential campaign.